The Madden Club Championship is perhaps the most competitive and entertaining eSports tournament for EA Sports’ Madden NFL franchise. 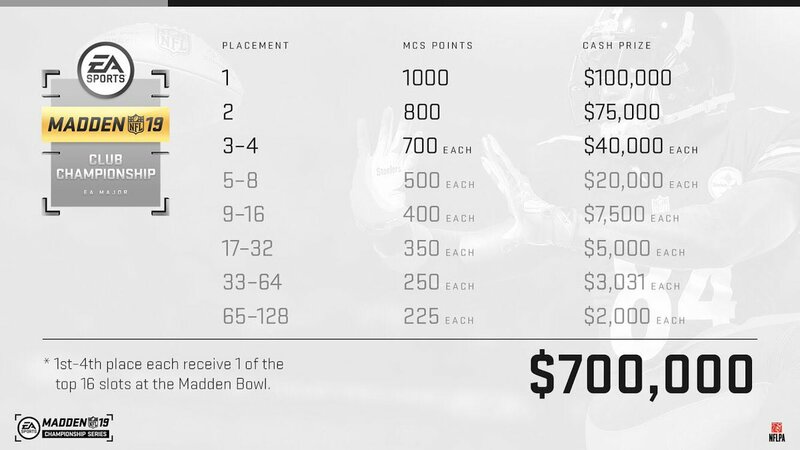 From January 30 to February 2, the 32 individual club champions will battle in Madden NFL 19 for $700,000 in prize money. Some of the best players in the competitive Madden community are competing in the tournament, which is being held in Redwood City, California. 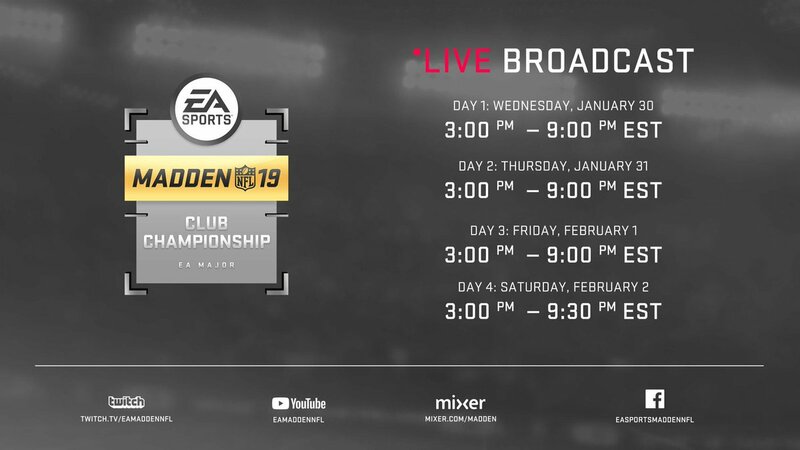 While a limited number of team club tournaments were broadcast on Twitch, the overall Madden Club Championship will be seen in its entirety. Starting Wednesday, the field will shrink from 32 team champions to one overall Madden Club Champion. Gos won the Madden 18 Club Championship after capturing the Redskins Club title. Below is the bracket for this weekend’s Club Championship. Deliverance (Steelers) vs. Echo Fox Joke (Browns) – This rematch of last year’s Club Championship is bound to be a thriller again in 2019. Deliverance took the win in Madden 18, and went all the way to the final four before losing to Problem (Chargers). Will history repeat itself? 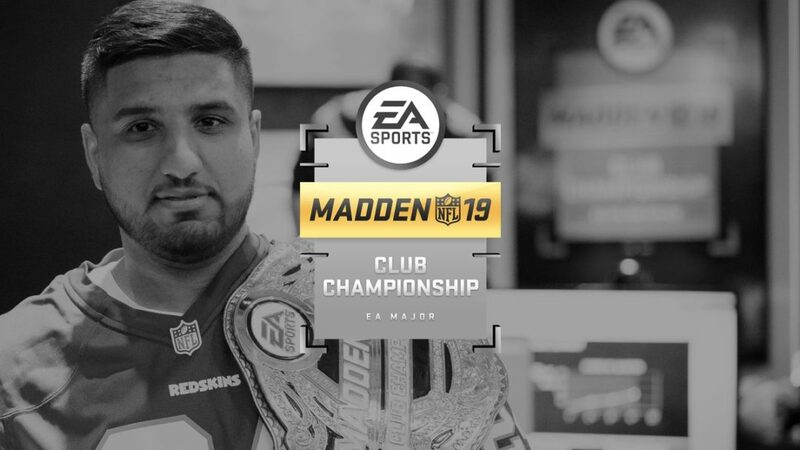 Serious Moe (Saints) vs. CleffTheGod (Buccaneers) – Two interesting stories here: Moe is a former Madden 16 belt winner, and Cleff is a competitive player who’s finally breaking out in Madden 19. IBeStrafing (Vikings) vs. Drag (Packers) – Strafing and Drag are two names competitive Madden fans are familiar with. Both have been extremely consistent in recent years, and watching them try to execute will be very intriguing. Young Kiv (Seahawks) vs. Suspect (49ers) – With Skimbo and Problem out of the Club Championship field, Kiv is expected to win the whole thing. In the first round, he’ll battle Suspect, who rolled through the 49ers Club in impressive fashion. Look for Blocky to use his consistent approach to breeze through his quarter of the bracket, which contains a lot of newcomers. Alan is the youngest competitor in the tournament at just 16 years of age, but is playing some of the best Madden of anyone on Earth. He has what it takes to take out Deliverance or Joke, one of which he’ll likely face in the round of 8. Drini and Kiv are predictable picks in the NFC, but they’re the best players who’ve had no hiccups at any point this year. Alan’s run will end in the final four, as Blocky’s game will be too polished to overcome. In the NFC, I think Drini has kept a relatively low profile this year, especially for a former champ. He’ll have something drawn up that will frustrate Kiv. Drini is a player who’s become a dominant force while maintaining as much uniqueness as possible in Madden. He often has schemes on both sides of the ball that go against the “meta” or even what other top players run. He will be the most prepared for this tournament, and I like him to top Blocky in the finals, 28-20. 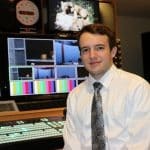 The tournament will be live at 3 p.m. EST on Wednesday, January 30. Twitch, YouTube, Mixer and Facebook will all be broadcasting, giving fans endless ways to watch. Below is a breakdown of the schedule for the tournament. Each of the 32 club champions have already earned a minimum of $5,000 each. The overall Club Champion will take home $100,000. The payout structure is so that it rewards each person in the field of 32, win or lose, while still giving the biggest payouts to the finalists. A full breakdown of the payouts is below. 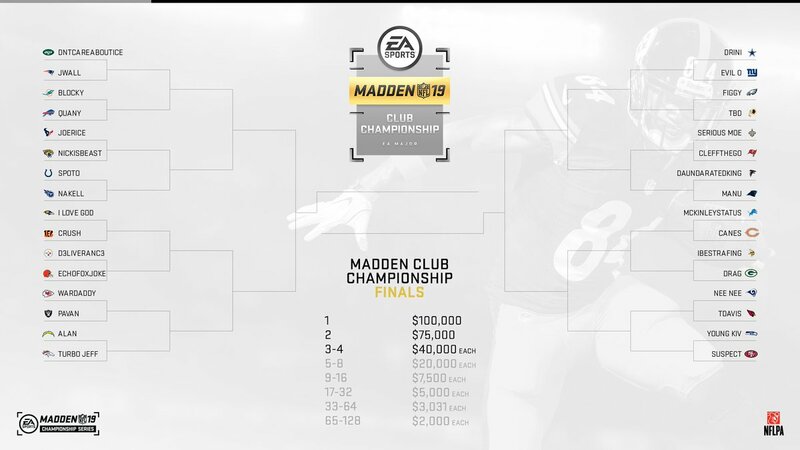 What did you think of the Madden 19 Club Championship bracket? Who are you picking to win the whole tournament? Will you be watching this weekend? Let us know in the comment section below, and don’t forget to subscribe to SGO.